With Christmas around the corner and a book release coming shortly after that, I have a to-do list that makes my head hurt just looking at it. I thought about signing off until January, but a blank blog is sad! So, I've decided to go through my archives and repost some of my blog posts from days past. I started blogging on livejournal way back in 2005! To put it in perspective, I wrote I HEART YOU, YOU HAUNT ME in 2006 and sold it in 2007. So...maybe it will be fun to go back and read some of those posts before, during and after my first novel sale. Of course, it'll be new material to many of you. And those of you have known me since I started blogging, well, I luv ya, and maybe it'll be kinda fun going down memory lane? Maybe? I guess I figure all my favorite shows are doing it the month of December, so if they can, I can too! Besides, come January, do I have something FANTASTIC for you!? Wait 'til you see what I've lined up!!! So, I saw New Moon on Monday. Suzanne Young has the recap HERE - pictures included, because Suz was born to be a blogger and takes her camera EVERYWHERE. I liked the movie. And I continue to be totally amazed by this phenomenon Stephenie Meyer has created. I mean, isn't it amazing? And really, we should be thanking her because so many teens have been turned on to reading because of her. Many of them go back to the bookstore for more, which is a very good thing. 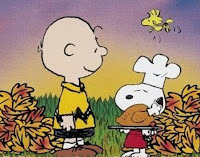 This Thanksgiving, I'm feeling thankful for family, friends, and for being a YA author. It's a fun, exciting time. So many great authors writing incredible books. Sometimes I look around and that song from Sesame Street pops into my head that goes - One of these things is not like the other - wondering how I'm here amongst all the greatness. But I am. And I'm very, VERY thankful for that. 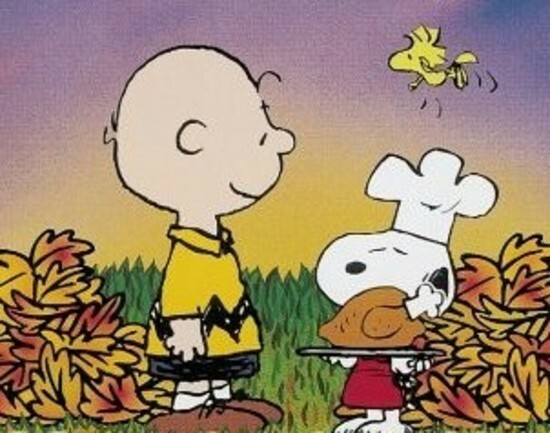 Wishing you all a happy Thanksgiving with good food, good family, and GOOD BOOKS! Yay - four whole days to READ!!!! Is the title really THAT important? In a word - Yes! Not one, but two professionals in the industry last week talked about how a great title could make a difference in how fast your manuscript gets read. First - Editorial Anon says, "If you can come up with a super title, then do-- it can encourage prompt responses." Read more HERE. I've always had a feeling this was the case. Some titles just make you go - ooooh, I want to read that! Next - Agent Jill Corcoran says, "When a submission hits my inbox, one of the first things I notice is the title." And then she goes on to say, "Titles are not something to anguish over, they are your golden opportunity to attract someone to your manuscript." Read more HERE. It's so great when you know the title of your book before you start writing, and you know it's the perfect title. Or you start writing and it's not long before you come up with the title that knocks your socks off. But I think more often than not, authors struggle with the right title. Jill suggests polling other authors - I know l've seen some authors do a poll on their blogs allowing others to vote for a title. It's important to have a title that makes someone sit up and take notice. And really, the only way you're going to do that is to ask other people what they think. I have two projects on submission now. One of them has an awesome title. I love it. It's one word, and it's a pretty word. I can see it on the cover of a book and it makes me excited about that book! What a wonderful thing, huh? The other one, I'm not so sure. I'm still, even now, wondering if there's a better title. For nine months, I searched for the perfect title, and you all know that after awhile, you just get sick of thinking/worrying about it and figure the one you come up with is good enough. After all, you can always change it later, with the help of your editor, right? But now, after reading these articles, I wish I had done a little more about my uncertainty. Perhaps asked all of you to weigh in. Thanks to the Never Ending Shelf for the kind words about CHASING BROOKLYN and for getting the contest going so quickly. Entries have been collected and it's time for me to guess the next stop. Thanks to everyone who entered and congrats to the winner! Another reader has posted her word and is looking for the 6th stop on the Chase Around the USA contest. I'm so glad to see that people are liking this book - yay!! A big thank you to the fabulous Kelly Fineman for choosing to interview ME for her part in the Winter Blog Blast Tour. Want to know why I keep writing about loss? Want to know what the new paperback cover looks like for my book FAR FROM YOU? Want to know what I think of cupcakes? To see the rest of the stops, Chasing Ray has the lineup. All of this talk about NCTE and ALAN makes me sad I'm not going. Have fun those of you who are! Yesterday I got word from my editor that FAR FROM YOU is one of seven S&S titles that made the 2010 Texas TAYSHAS List for Teens! I suddenly feel the need to go out and buy some cute cowboy boots. I've always wanted red cowboy boots! Anyway, I'm so incredibly psyched about my book being on this list, I can't even tell you. So a big THANK YOU to the committee for selecting my book out of all of those you had to choose from. The list hasn't actually been updated yet, so I can't share the link, but hopefully it will be soon. Congratulations to all the others who made the list as well! It is a BUSY day when you must work all day and then go to a dinner and auction immediately afterwards that will go until 9:00 pm. But when your publisher generously offers to pay your way because it's a good chance to meet book sellers and your local sales rep., you go. It is a FUNNY day when you are watching Good Morning America and the commercial comes on for Did You Hear about the Morgans and you hear Hugh Grant say, "I called ahead to get the table near the mayonnaise." Have you ever heard Hugh say "mayonnaise?" The commercial is so long, there's really no need to see the movie, which is pretty funny too. It is a STORMY day today and every day this week. Very, very stormy. It is a SCARY day when you realize Christmas is only like 40 days away. It is a HAPPY day when you get the news your friend Alix had her baby boy (Xander!) yesterday and both baby and Mom are doing well! And, it is a GOOD day when you get an enthusiastic e-mail from your agent that uses the coveted "L" word about the book you spent a lot of your spare time working on over the past nine months. A book you wrote for yourself, because you wanted to write something new and different. So...what kind of day are you having today? I want to thank Lisa at A Life Bound by Books for her kind words about CHASING BROOKLYN and her lovely word. It's now time for me to guess where my little ARC is off to next. Thanks one and all for playing!! 1) Delsym cough medicine is the best. It's expensive, but worth every penny. 2) I really don't like it when men have hairy necks. If you don't want to get your hair cut very often, fine, but please, can you at least shave your neck? 3) Check out this amazing, AMAZING post about ARCs by Kristi, aka The Story Siren. She went to publicists at publishing houses and asked them some questions about ARCs, including how much an average ARC costs. Good stuff, people! 4. Taylor Swift - OMG, she won FOUR awards on the Country Music Awards last night. I can't quite decide if I want to marry Taylor Swift or BE Taylor Swift. I know I want to write books the way Taylor writes songs. Now that I'm learning to play the guitar, I'm trying to teach myself some of her songs. Teardrops on My Guitar is one I've been playing a lot. 5. Speaking of guitar, I'm playing on the one my husband has had for about 30 years. No joke. It's fine for now, but I'm really hoping Santa might bring me a new one for Christmas. If you know guitars and have any recommendations for him, please let me know so I can pass it along. I think I'd like to try and find one that works well with my small hands. If there is such a thing! The good: I know for sure some kind librarians nominated FAR FROM YOU for the YALSA 2010 book lists (Best Books for Young Readers and Quick Picks for Reluctant Readers) because they told me so. THANK YOU kind librarians!!! The not-so-good: It didn't make either nomination list, which means it didn't get the necessary second from a committee member. I'm sad, but oh well. I'm thrilled so many awesome books are on the lists and many of my writerly friends have books nominated. The good: The book I've been working on for the last 8 months, HOPE FOR NIMBUS, is done. For now. And I'm going to send it to my agent today! The not-so-good: I wanted to be a lot further along on my new novel-in-verse than I am, and I'm so busy at work this month, I don't know that I'm going to have much energy to work on it during my off-hours. But, I guess I can only do what I can do. The good: I was browsing the new S&S Children's Catalog for Spring 2010 and on the CHASING BROOKLYN page, it says, "12-copy mixed floor display (Includes 8 copies of CHASING BROOKLYN and 4 copies of I HEART YOU, YOU HAUNT ME) for $159.88." A floor display will be available for my books!! The not-so-good: Will any bookseller really buy one? I often see news like this and think the worst. What is up with that? The good: Day off today! The not-so-good: I have a to-do list the size of a foot-long sandwich. I better get to it. Happy Monday all! And in case I don't get a chance to say it tomorrow, Happy Anniversary Sesame Street!! Thanks to Sab for her wonderful picture and for helping out with my contest. Since I guessed her state correctly, a $20.00 gift card will be on its way to her soon! Now it's time for me to once again guess where my little ARC will travel to next. Thanks for playing, everyone, and I look forward to finding out where my little ARC goes to next!